Dental implants are permanently implanted prosthetic teeth that look and function like natural teeth. Typically, a dental tooth implant consists of a titanium post that serves as the anchor or “root” for the crown that attaches to the top. Dr. Dennis implants the metal post into your jawbone so it fuses with your natural bone. Once the post is firmly fused to your natural jawbone, it provides a secure base for the permanent crown. Implants can be used for a single tooth, or a dental bridge that replaces several teeth in a row. In some cases, dental implants can be used to replace all of the teeth on the top or bottom of your mouth. Using the advanced technology of 3D digital X-rays, Dr. Dennis can place most implants without painful incisions or sutures under a local anesthetic. This reduces recovery time and the metal posts fuse to your bone in three to six months. All-on-4 dental implants are a revolutionary alternative to dentures that require adhesives and don’t always fit properly. All-on-4 implants use just four titanium posts to anchor an entire upper or lower set of teeth. All-on-4 dental implants can provide you with a fully functioning set of teeth in just one procedure. 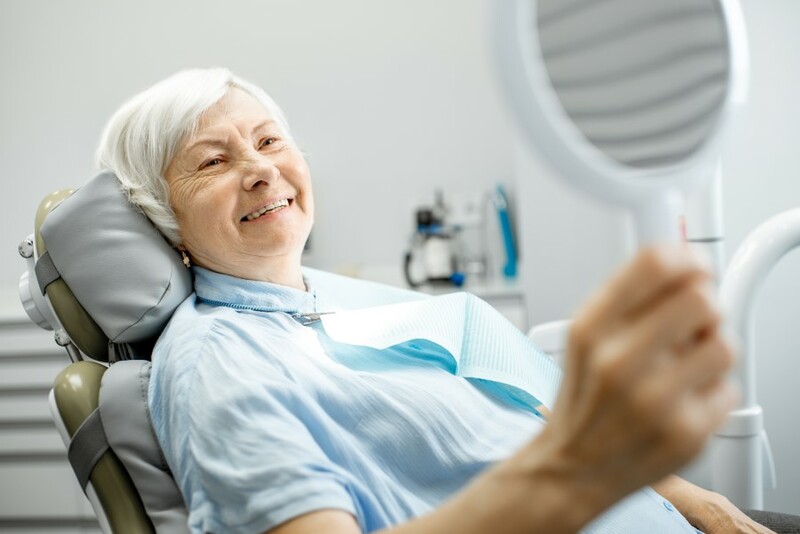 Instead of having a metal post for each missing tooth, as with traditional dental implants, All-on-4 implants require Dr. Dennis to place just four titanium screws into your jawbone during a minor surgical procedure. Once affixed to your bone, they act as anchors for your permanent set of upper or lower teeth. You don’t have to live with missing teeth indefinitely. Dental implants are an affordable, effective way to regain form, function, and a healthier, more beautiful smile. Call the office or schedule a consultation using the online booking system to find out if dental implants are right for you.